Neato but a big problem with a campaign near then end of the universe will be how gosh awful far apart everything is going to be. Sure cool embers of stars will still have cold worlds drifting around them but the night sky will be so incredibly empty as the observable universe will have so little to observe. At a point in the history of the universe the vast majority of the universe will be so far away from any given point most of the energy emitted by future stars will never be observed as it will never reach somewhere to be observed as expansion carries on. There may be isolated spots in the universe where many billions of years from now the conditions are ripe for a world to birth life onto a world where the life forms will never see a sky full of stars, there will be an absence of constellations, no evidence of solar evolution, no big super novas to light the sky, their world will be virtually the entire observable universe and the limit of everything they will ever reach. Yes, but a campaign set in a single solar system of black skies, jam-packed with six billion years of exhausted science projects, blind vampiric mutation, dozing Titans, and UFO detritus would be extraordinary. 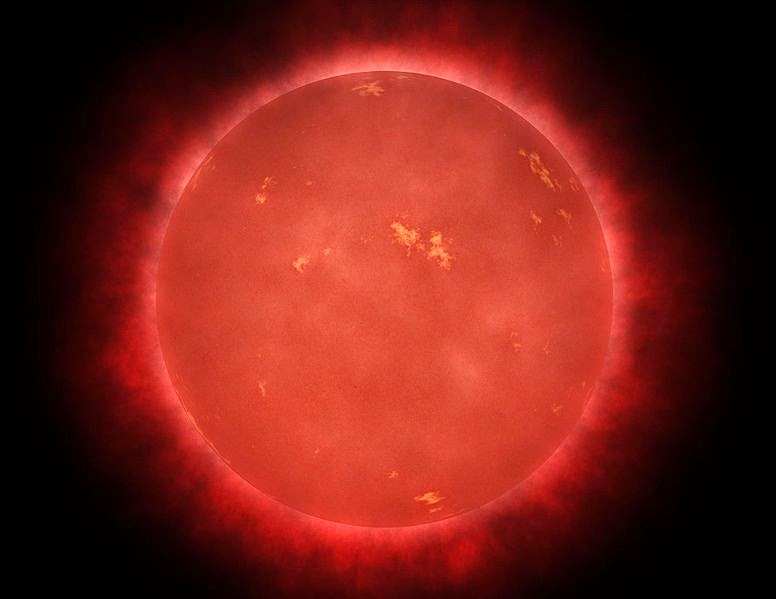 Thus the initial neato, In 600 million year or so life on earth (as we know it) is likely doomed and that's still billions of years before the sun enters the red giant phase. If humanity makes the great escape even ot our outer system there's goign to be so much stuff to exploit and be part of. If by strange fate or genetic manipulation people are around long enough we might see when liquid water can run on the moons of Jupiter or Saturn because the sun is swollen and emitting enough energy for several hundred million years to possibly make some of them habitable, at least with a little super-science manipulation. I'm thinking more fantasy than hard sci-fi. Like Zothique in space. Definitely the way to go and if there were sentient beings we could care about in such an epoch it would be fantastic.